The last three national championship bouts have been decided by a grand total of 12 points. 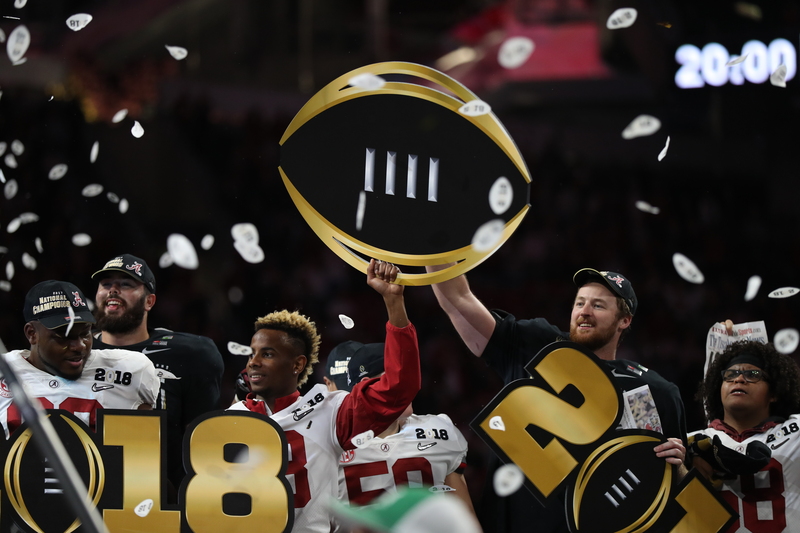 The success of all that we have seen with the College Football Playoff and, specifically, the final, has been so significant that, at this point, it is hard to measure. Three years ago, Alabama and Clemson combined for seven scores over the night’s final 10:34, with the Crimson Tide not claiming the title until recovering an onsides kick with mere seconds remaining. The rematch, going back two seasons, was even more dramatic as the Tigers scored the game-winner with, quite literally, one second to play. 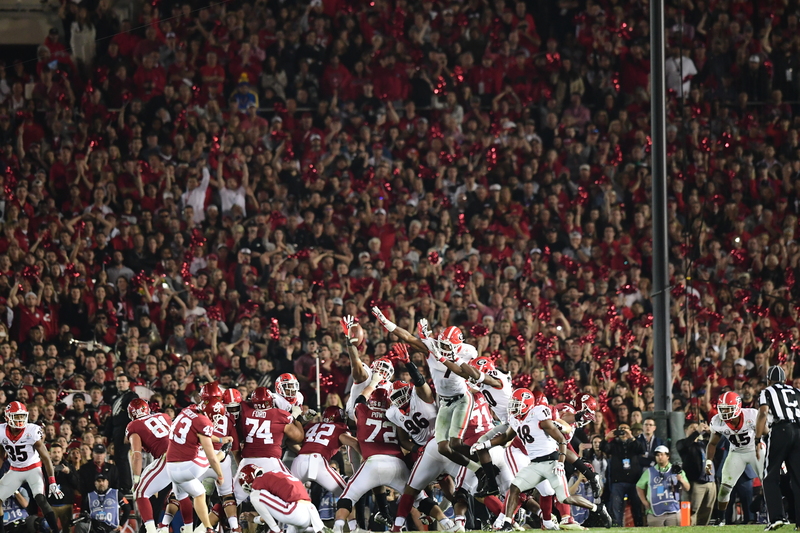 Last year, regulation wasn’t enough; in overtime, Alabama edged Georgia on one of the most iconic plays the game has ever seen. To say the College Football Playoff is trending would be a major understatement. The final four format continues to exceed expectations, serving as both the starting point for any national conversation and, as recent results have shown, pushing the boundaries of time and talking points alike. As the game’s overall landscape continues to adjust, the new postseason picture has added more energy and intrigue to each fall. Debate now helps shape the discussion. From the outside-looking-in, the playoff has injected extra excitement into an ongoing narrative. From the inside-looking-out, the high-profile transition has already gone above and beyond. “I have to tell you, the enthusiasm of the fans is even greater than I expected. People love this playoff and coaches appreciate having it. It has been tremendously successful,” explained Bill Hancock, Executive Director of the College Football Playoff. Though countless storylines have emerged from the four playoff pairings to date, a basic idea serves as the foundation for each and every evaluation. The way the committee ranks and files potential contenders may leave the process up for external criticism, but it also keeps assessments fluid and beyond the reach of sectional rigidity. Since the beginning, a core indentifier has kept options open as circumstances have sometimes changed and has been the starting point for every angle of deliberation. There is rarely an easy scenario for picking the right four teams, but the College Football Playoff is a reflection of an authentic and autonomous set of perspectives. The criteria for who the four best teams in the country are features a dynamic, multi-faceted set of principles. Replacing a computer-based model of slotting, the College Football Playoff incorporates the human element of consideration by use of an end-all, be-all committee. This design is a leading feature of the format, with people weighing factors that simple data compilation otherwise might not. Here, the eye test meets the I-test. No opinion is left unheard and any and all information is part of the pretense. Though imperfect, playoff rankings are ultimately decided upon by a wide-ranging number of issues. There is innovation in possible inefficiency. “The beauty of our event is we have those 13 experts in a meeting room evaluating every aspect of a team, nothing escapes them. They know when the left tackle was injured and maybe didn’t play as well as he did the rest of the season, so having that kind of a debate is a real blessing for college football, it’s something that we never had before. They weigh all of the factors and then make their decision,” Hancock added. Through the ebb and flow, there is a deep appreciation for everything that is done and every team that is considered. The power that comes with the College Football Playoff isn’t taken lightly. Starting in November, when the first College Football Playoff Poll is released, the build-up to selection day is a very real part of the overall brand. The various iterations of the rankings stir public opinion and also bring some transparency to the tenor of the room. Corresponding reactions, positive and negative, only add to the intrigue and profile of the process as a whole. More so than ever, fall’s final four puts college football front and center. As dialogue heightens, so, too, does the College Football Playoff’s pull. If success is gauged by interest, fans and media, the same, are still talking about last year’s finish and already making their predictions for what is coming next. While there may be an off-season, there is no down time, a notion only magnified by recent developments and the widespread reach of all that comes with. Late November to early December has always been peak season for the sport; now, with playoff positioning in the fold, the stretch run is an all-out sprint. With extra commentary, an intertwining of interests has occurred. When the nation watches the final few weeks of the regular season, they do so together. Needless to say, the proliferation of the College Football Playoff has had a significant ripple effect across the national landscape. With teams looking to boost their resumes, one area where a potential impact has been made is in the realm of non-conference scheduling. It is now much more commonplace for traditional powers and expected contenders to schedule early season matchups against one another. Among many other pairings, last year saw Alabama play Florida State and this season will feature Auburn versus Washington. There are countless showcase games, home-and-home and neutral site meetings, lined up on current and future schedules. At the very least, the College Football Playoff has contributed to the trend. Last season’s self-proclaimed national champion, Central Florida, directly challenged the status quo. Notably, the Golden Knights won every game on their schedule, beating ranked Memphis twice, topping the likes of Navy, South Florida and Temple and ultimately defeated SEC power Auburn in the Chick-fil-A Peach Bowl. Central Florida had just two chances against power-five competition, the aforementioned win over the Tigers and a 28-point triumph at Maryland. An early game with Georgia Tech was cancelled due to Hurricane Irma. Though unbeaten, the Golden Knights did not reach the final four, finishing 12th in the week 15 College Football Playoff Poll, behind six multi-loss teams. Central Florida did, of course, make a New Year’s Six Bowl Game, making a statement by beating SEC West winner Auburn in Atlanta. Per Hancock, the opportunity for group-of-five programs to be involved is clearly there. The recent run made by the Golden Knights, and the past plight of other candidates like Baylor, Ohio State, Penn State, TCU and Wisconsin, has only added to the question that has been ever-present since day one: will the field expand? As currently constituted, it doesn’t appear change is coming anytime soon. Protecting the sanctity of the regular season, a big part of what makes college football special, is at the forefront of considerations. Additionally, there is worry over extending the amateur schedule. Speculation and suggestions will always follow the college football postseason like a shadow. As it stands, the administration is content. Regardless of who the potential contender may be, the big picture design, with the College Football Playoff, is for every season to come with a completely blank slate. Such a stance is a leading part of the concept as a whole. That bedrock holds the process in place. “We start with this year. We only consider what’s happened this year. We can’t and don’t have time to mess with what happened in the past or anybody’s tradition,” Hancock detailed. The College Football Playoff Committee has a difficult job and an incredible obligation; to pick the nation’s four best teams to compete, on the field, for the biggest title there is. Through it all, there is a powerful passion and perspective. Recent results have been off the charts. History, as its made and as its measured, continues.